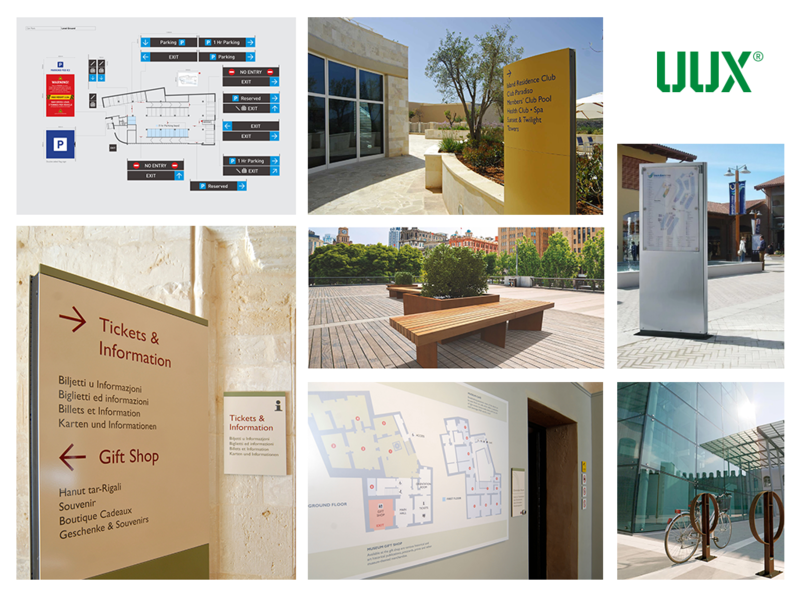 Urban UX – UUX – has grown out of the long-established design partnership of Mangion & Lightfoot, now in its 21st year. Founding partners Matthew Mangion and Mark Lightfoot are graduates of leading London design schools. Both have a driving passion for how design impacts users and they understand how to use design to enhance the brand experience. Since their first major department store branding project in 1997, they have been delivering design solutions for websites, award-winning apps, branding, packaging and of course, wayfinding and signage. Communication design has many applications, and the most exciting and impactful one manifests in what they are now referring to “Urban User Experience Design”. Analogous to User Experience Design for computer-based systems, the partners have developed a way to apply heuristics, behaviour, information and communication design to develop solutions for how we interface with the built environment.